Since September of last year, I’ve been working on a major project. 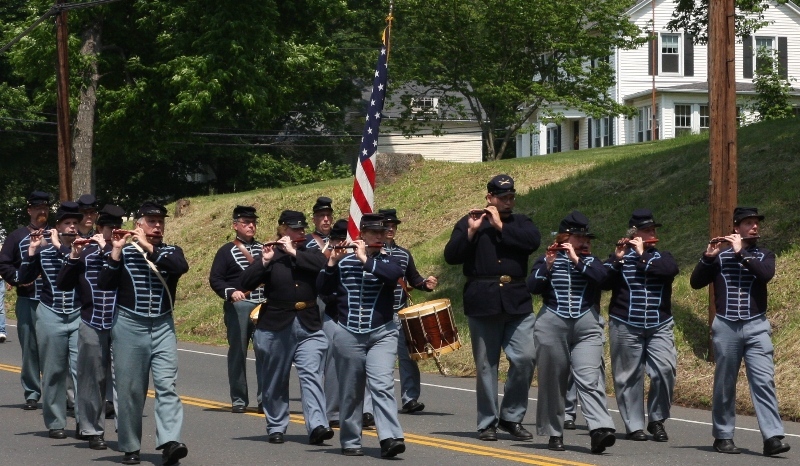 Outfitting my fife and drum corps, Connecticut Valley Field Music, with completely new uniforms. As you can see, they’re beginning to look pretty worn out. None of the trousers fit correctly, and the shell jackets are a mess, especially at the waist. I was fortunate to get the job of creating completely new uniforms for the corps. It was decided to go with enlisted frock coats. The length of the frock coats would help minimize height differences in the corps, which are so apparent with the shell jackets. We also decided to leave off the musician’s trim, or ‘birdcage’. It seems too distracting when everyone has the trim, and would also have to be absolutely perfect in order to look good. Frock coats were commonly worn by privates, as well as musicians. To the left is a photo of the Falmouth, Va. 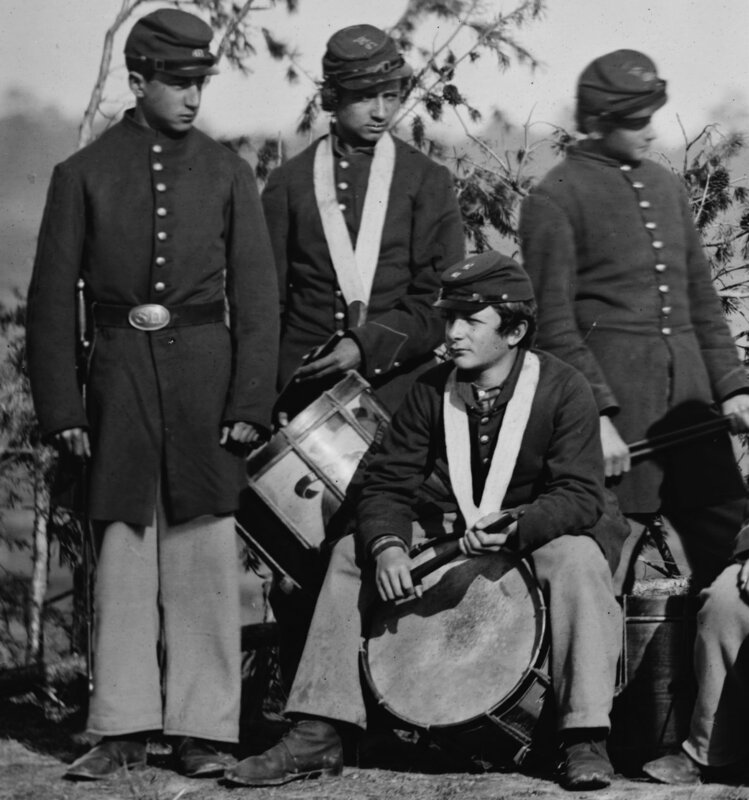 Drum corps of 61st New York Infantry, from 1863. You can see that the frock coats are fairly fitted, although this is not the best example. They are made with six pieces in the body: two fronts, two sides, and two back pieces. The skirts are then attached to the body. 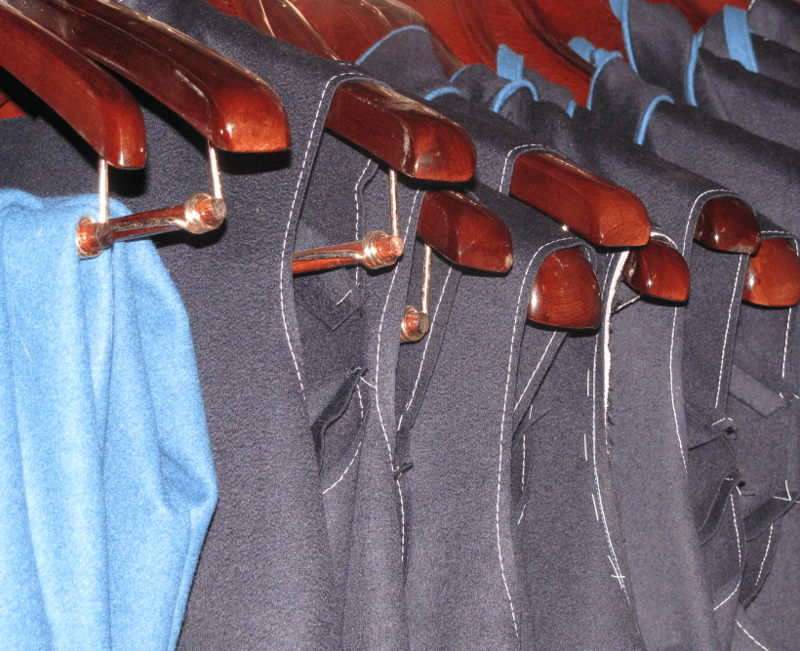 Originals were made of wool broadcloth for the most part, with quality depending on where it was made. Officers and enlisted men who could afford it often had their uniforms custom made by tailors, with fabrics imported from England and Europe. For CVFM, I chose to use a Navy Blue Superfine broadcloth from Abimelech Hainsworth, a British woolen mill. Their wool has a wonderful drape, and a very fine nap to it. If you can afford this fabric, it is definitely worth it. I will be posting some construction photographs in the near future, and updates on this huge project. Many people consider these the hardest item of Civil War clothing to make, but it’s not really that difficult, provided you take things step by step. I’ll leave you with a photo of some of the work done so far. how long should a federal enlisted man’s frock coat be? to the knee? halfway down the thigh? Regulations stated the frock should be halfway down the thigh. Personally, I prefer them a little longer, to about 3 inches above the knee. Most clients have agreed, as well. This helps the skirt drape nicely.